For many years, promotional products and gifts for existing and potential clients and customers have been a key marketing tool. Promotional products not only help to spread brand awareness, but most importantly, the right product also helps to build strong relationships with clients. This said, the promotional gift could also have the opposite effect. A classic mistake when it comes to giving gifts is gifting a product that is supposed to be useful for the receiver, but can come off as quite cold and impersonal. To provide a popular gift, getting the right balance between functionality and making it personal is essential. Whilst focusing too much on functionality is a common mistake, there is another that is even more frequent… Giving a gift that you would want to receive. Even if your intentions are good, just because a gift is something that you would want to receive, it’s a mistake to assume that others would have the same feelings. Whilst you may give a friend or family member something that you would appreciate in the mind-set that you may get to use in, in the business world, it’s ineffective to give a promotional product as a gift that is more about your business than the client that is to receive it. 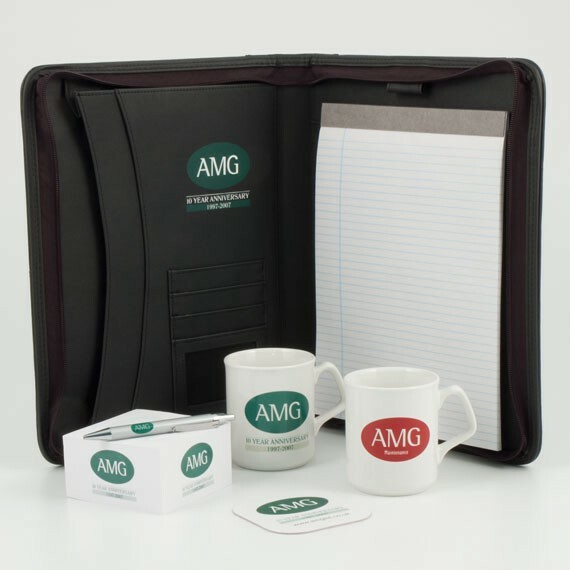 When you are giving promotional merchandise or some other form of gift to an important client, it’s likely that your aim will be to make a strong impression and build or strengthen a relationship. To have this kind of effect, it’s important to refer to the basic rules of gift giving — make it about the recipient of the gift. It can be effective to give away small promotional products such as pens, pencils, notepads, calendars, magnets or even hats at a trade show or exhibit. By giving away products that are branded with your company logo, this will remind people of your business, triggering a memory when they need the products or services that you can provide. However, to have a stronger effect and to build relationships, gifts have to make your client feel valued. Rather than simply printing your logo on a promotional gift, it could be more effective to print the logo of a client’s company, or even their name or initials. By making promotional merchandise more personal, it’s more likely that they will get lasting enjoyment out of it. In the long run, by strengthening your relationship with a client, or a number of clients, your business can enjoy the return on your investment when they continue to use your business. By making gifts personal, the ROI is often higher, so you can afford to spend more on choosing the right gifts. The higher the quality the promotional gifts that you give to clients, the more likely it is that your investment will pay for itself and much more as a result of lasting client relationships. If you are looking to wow new clients, or strengthen your relationship with current clients by giving them promotional gifts, you can call THEMPC Ltd today on 01256 352415. THEMPC Limited has been developed to act as an extension to your internal marketing resource. We take your ideas and develop them into marketing assets.